What Does AARP Have to Say about Reverse Mortgages? Since the 1980s, the American Association of Retired Persons (AARP) has published a booklet discussing reverse mortgage programs. This booklet, titled "Reverse Mortgage Loans: Borrowing against Your Home," was last revised in 2009, but contains updates about the 2010 developments in reverse mortgage lending. It provides advice to individuals considering acquiring a reverse mortgage loan about the considerations they should include prior to taking obtaining this type of loan. AARP explains a reverse mortgage as a "rising debt, falling equity" mortgage. The agency uses these terms due to the fact that, in a reverse mortgage, the borrower's debt grows and equity shrinks as they acquire loan proceeds. The exception to this is when the home that is subject to the mortgage increases in value. However, AARP explains that this is rare. Do I Need a Reverse Mortgage Counselor? The agency also uses this definition to describe how, at the end of a reverse mortgage, the borrower may have no equity remaining in their home. With each payment, interest is added to the borrower's balance. This increases the amount of debt owed and, in abstract, reduces the amount of remaining equity the borrower has in their home. In the booklet, AARP does not endorse or condone reverse mortgages. Instead, the booklet's purpose is to educate potential borrowers and provide them with questions to ask prior to entering into this type of mortgage agreement. What will I do with the money? Does my need really outweigh the potentially high costs of these loans? Needs such as purchasing luxury goods, traveling and other non-necessities, the agency urges, should not be the basis for taking out a loan. Additionally, it advises against considering investing received funds, because there is no guarantee that any investments will earn an income greater than what is owed to the lender. 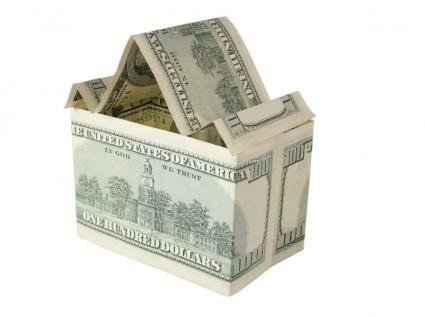 Although reverse mortgages provide income, their costs can be too expensive to warrant taking out the loan. AARP points out that the amount a borrower owes increases each month as interest accrues and that, particularly for younger borrowers, this amount can become quite substantial in the long-run. The agency encourages potential borrowers to consider the long-term cost of these loans and whether that cost is sustainable on expected income amounts. AARP also recommends that individuals consider whether it is the ideal time to acquire a reverse mortgage. Borrowing now, the agency states, means that equity won't be available in the future. Any unexpected financial emergency, therefore, cannot be rectified by entering into a reverse mortgage agreement at a later date. Potential borrowers, therefore, should consider their current future need and how that need stacks up against future expectations. These expectations should include medical emergencies, financial hardships from economic recessions and other, similar considerations. Prior to acquiring a reverse mortgage, AARP recommends that all borrowers thoroughly investigate other options. These options include home equity loans and lines of credit. These types of loans, the agency states, can often be less costly and provide the funds the borrower needs. Although it recognizes it as an undesirable option for many individuals, the agency also asks borrowers to consider selling their current home and moving to a smaller, less costly residence. This is because doing so can result in significant long-term savings and avoid incurring a debt obligation. The agency also encourages individuals to investigate public benefit options that may reduce their current amount of financial need. These benefits include Supplemental Security Income, property tax relief programs and Medicare. These programs can often significantly reduce financial need, eliminating the need to take out a reverse mortgage. Throughout the booklet, AARP recommends that all potential borrowers seek independent counseling. It encourages attending multiple sessions until each of the borrower's questions are answered and they understand every aspect of the loans they are considering. It also warns borrowers against paying for this counseling. As the main non-profit organization dedicated to helping senior citizens, AARP's provides reliable, unbiased guidance through the initial stages of deciding whether to take out a reverse mortgage. Always ensure that you understand the specifics of the loan agreement, and do not hesitate to ask questions to the lender or an independent counselor.